Keyboard warriors, draw your swords! That fool just suggested that gear is actually a really important aspect of photography! He is breaking all the conventional narratives. Fire up the torches and roast him alive! The common wisdom has always focused on saying that gear doesn’t really matter; it's about the photographer, not the gear. A great photographer can make a great photo regardless of gear. I hate to burst the collective narrative, but that is a partial truth. What gear you have matters, and I’m about to tell you why. Great gear isn’t required to make “a” great image, but it sure is critical to making "the" great image. Great photographers create; they don’t just observe. They previsualize what they want to create and take steps to make that image a reality. Often, the photographer needs very specific, sometimes expensive gear to make the shot that is inspiring them. 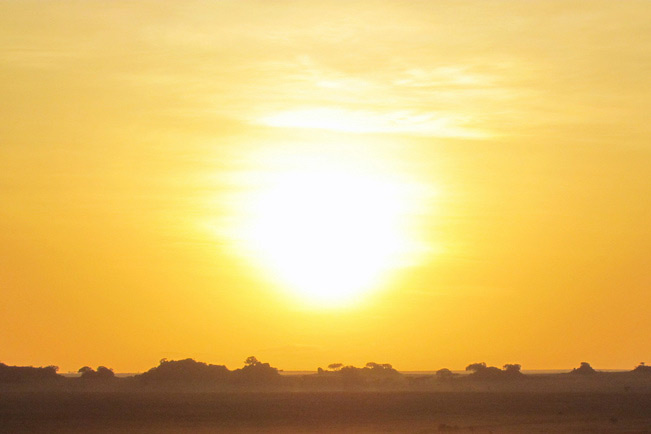 A great example to really drive this one home is an iconic silhouette shot of a Serengeti sunrise, featuring a giant sun silhouetted along the horizon. To create an image like that using a real camera, you can’t just walk into the Serengeti with a kit lens on your Rebel — sorry. Even if you patiently wait until dawn and get lucky with all the animals to snap the photo, you are going to end up with a fuzzy image that has a tiny sun on the horizon. The first piece of gear you need to make “the” image is a tripod. The sun is low, the light is dim: you need stability. Next, you need a very long telephoto lens to make the sun huge on the horizon. We are talking a giant, expensive, bad-boy lens that is over 600mm in focal length. There is nothing you can do to obviate that. To make that image, you need very expensive gear. Sorry. Could a good photographer make a good image in that situation with minimal gear? Probably, but if the client asked for a giant sun silhouetted on the horizon and the photographer just brought a kit lens, then they are out of luck, no matter how skilled they are. Have you ever noticed how all the cheap DSLRs come with articulating screens, while that feature is still fairly rare on professional bodies? That's because it is a severe point of failure. Expensive gear is designed to be reliable in every way. A great photographer can’t make great images with a camera that decided to stop working two minutes into the shoot. 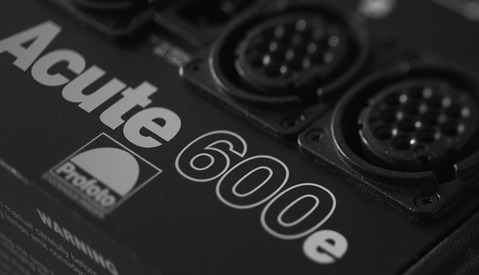 Good gear isn’t invincible, but it vastly decreases the odds of unexpected failure at a critical moment of the shoot. Furthermore, the accuracy and speed of the right equipment also helps you avoid situations where you missed the shot because you weren't able to react quickly enough to capture the moment. Fast-focusing lenses on camera bodies with world class autofocus can make a world of difference when trying to adapt to fast-paced situations. Nothing is more frustrating than watching a perfect, but blurry photo disappear because the autofocus motor is still busy, frantically whirring back and forth, trying to find sharp focus. 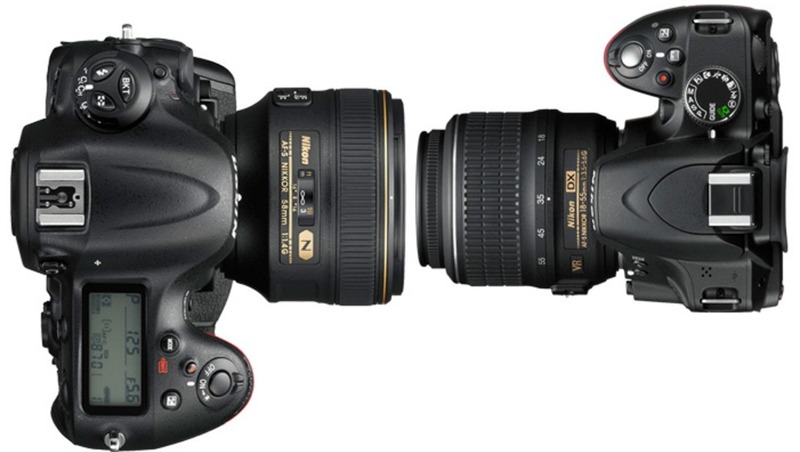 Have you ever noticed that whenever someone does one of those “look, you don’t really need expensive gear” comparisons, they do it in an easy situation? They jovially set up the two cameras in a nice, well-lit scenario and shoot a couple almost indistinguishable images, then seem to think it suffices as evidence that the more expensive gear isn’t really that much better. Cheap gear is great at taking great images in optimal situations; one of the things you are paying for when you invest in higher quality gear is its ability to still function well in extremely challenging scenarios. For example, say you are neck deep in a swamp as the sun is just beginning to crest over the horizon, spraying the first light of dawn. The sky is subtly showering you with rain and you are trying to snag a shot of a condor as it takes off from its nest. Good luck making that shot with a cheap camera and kit lens. It doesn’t matter if you are the best photographer in the world, that cheaper camera is going to be fighting with you the whole way, and even if you do manage to make the shot, it's not going to be as nice as if you had brought the right tool for the job. Furthermore, great gear is more consistent in outlying situations. A cheap lens or budget flash probably makes perfectly sharp images when stopped down or set to high power; that same lens, however, may quickly soften when opened wide, or that same flash may start to struggle with color consistency when set to extremely low power. High quality gear gives you the freedom to use it how you need to without worrying about stepping outside its sweet spot. Great gear doesn’t make you a great photographer. A crappy photographer with great gear is still a crappy photographer. A great photographer with crappy gear is still a great photographer, but that same photographer will make even greater images with the right gear, which is why the vast majority of pros invest in the best gear they can afford. Gear is and always has been a limiting factor that places a ceiling on the abilities of what a photographer can achieve. The better your gear, the higher that ceiling. If you are a new photographer, your skill probably hasn't reached a level where you can contend with that ceiling yet, so don't worry about it. However, as you get better, you surely will hit that ceiling and need to invest in improving your gear. Don’t let lack of gear stop you from getting out and making photos. It can’t stop you from learning and improving, but also, don’t scoff at those who know that having the right tool is often critical to moving their work to the next level. Image used under Creative Commons by David Berkowitz. There are a lot of fair points in this article, and I think the key is saying that it is an "aspect". There are limits to any equipment, and having better, (or more) equipment stretches those limits. Of course it still comes down to what you do with it. Hell yeah! Someone to put some gasoline into the fire! You are absolutely right! Cheap gear works with controled conditions, expensive gear let's you go foward. I did a post on my blog recently regarding cheap speedlites, yeah they work and stuff, but you also lose a lot when compared to Pro material. Great article that makes a lot of sense. You don't hear a lot of people complaining that their gear is too good. Well, you're right - in all the scenarios you've described, there is a vast difference between the results that will come out of an entry-level kit and a fully decked out, specialized pro kit. However, how many are photographing the sunset at the Serengeti or condors in a swamp? You're describing the 90% outliers or worse, and they're hardly representative of the day-to-day projects that "ordinary" photographers face - and that is even when talking about professional photographers. Sure, if you're a hobbyist with money to burn, by all means - go burn it, and enjoy your fantastic equipment, it's well deserved. Once you have learned to master it, you will be able to create great images. However, stating that pros tend to buy the most expensive gear "just to be sure" is defintely not always the case, at least in my experience. The successful pros I know have a pretty clear idea about what kind of gear they need, and rather than blowing their money on the latest and greatest all the time, they tend to invest any surplus revenue in marketing, education and external services like accounting, once they have reached a "sufficient" level of their gear. The last paragraph in your reply sums everything up perfectly. pros know what they need. "how many are photographing the sunset at the Serengeti or condors in a swamp?" Or sports photography, or macro photography, or architectural photography, or aquatic photography, or controlled-lighting portraits/fashion photography, or concert photography, or dance photography, or low-light event photography, or any number of other situations that do, in fact, require gear beyond the most basic of basics. Those were examples; not a comprehensive list. "The successful pros I know have a pretty clear idea about what kind of gear they need"
Pretty much exactly what he wrote: "Great photographers create; they don’t just observe. They previsualize what they want to create and take steps to make that image a reality. Often, the photographer needs very specific, sometimes expensive gear to make the shot that is inspiring them." "once they have reached a "sufficient" level of their gear." I did not intend for my reply to be a "pitchforks, tar and feather"-type, to be honest, but I nevertheless disagree that gear is an "extremely important aspect of photography" unless we are talking about those very demanding, very specific situations. "So you're saying gear matters..."
No - quite the opposite, actually. If you are a portrait photographer, you can probably get away with using the cheapest entry level camera, a kit zoom and a cheap 50 mm prime, and still create beautiful portraits. The gear would be "sufficient" and of much less importance than lighting, location, posing and how well the photographer is capable of getting the sitter to feel comfortable and relaxed. Actually Ryan touches this in his post: "They jovially set up the two cameras in a nice, well-lit scenario and shoot a couple almost indistinguishable images..."
The thing is - and that is the point I was trying to make - that a LOT of images for professional use is made this way: Using studio flashes in the comfy environment of a nice studio, photographing relatively static subjects. Product photography for websites, catalogues or brochures and portrait photography very often takes place in the studio, and really does not demand that much of your gear. I guess it all boils down to how you want to define "extremely important aspect of photography" but I honestly believe that gear will take the backseat when put up against lighting, styling, post-processing, makeup or one of the many other aspects that are relevant for most studio type of work. 1) I just listed quite a few other common types of photography...you don't get to just pass that off as a small subset...it isn't. In fact if you look at images taken worldwide, A substantial portion are not done in controlled lighting and those listed are fairly large fields. I know spending time on fstoppers can make you think only portrait photographers exist, but trust me, there's more to photography than just portraiture. 2) a 50 mm prime will create an unflattering headshot...so yet again, gear matters. You can shoot portraits with any lens, but that lens will limit the perspective you can provide. You'll never be successful shooting professional headshots with a 10 mm fisheye lens. 3) if you need flash and strobe, you need gear...just because it isn't a camera doesn't mean it isn't gear. I'd be willing to wager a pretty substantial amount of money you couldn't recreate every image you've taken with a pinhole camera. So yet again, gear matters. You can take a great image with a pinhole, and if that is the only image you ever want to take, then that gear is good enough (still gear though). But we live in the real world, where we want a different subject, in different conditions, shot from different perspectives. That requires different or more flexible gear. Or if you're going for that look, it requires a pin hole camera. No one is saying gear matters more than the photographer. But it is a complete load of bs to suggest gear doesn't matter when the image you create is a direct result of the gear and settings you've chosen. 1) I plainly disagree. The article relates to the need for high-end gear and by extension, primarily professional work. The vast majority of professional photography is done under controlled lighting, one way or another - if for nothing else, then to make it repeatable. Repeatability is key for just about any kind of commercial photography, which is a huge part of professional photography. Yes, it's the images in the sports magazines that gets the attention, but it is the product images in the webshop or the local ad, that makes up the volume. Feel free to disagree, but this is not something that comes out of Fstoppers, it's based on what I and many of my colleagues/competitors work with every day. 2) Apart from the wrong assumtion that a 50 mm cannot be used for portraiture, make it a friggin' low end 85 mm or another cheap lens for all I care. Downright stupid argument. 3) Sigh. You don't need a flash or a strobe to control light, and even when you do, you can get away with little. To be honest, most of what you write has strawman argument written all over it and I truly fail to see what you are trying to say. You try to make it look like I'm claming that no gear is needed for anything, but that does neither make sense nor relate to the original article. All I'm saying is that I disagree with the original articles assumtion that expensive gear is extremely important in most photography - in the world where I work, there is a ton of other aspects that come in above the gear. Again, feel free to disagree, but don't make this a question about whether gear is needed to create images at all or not. 1) You can disagree all you like...but once again, what I listed is a huge field of professional photography that you do not get to discard because it doesn't fit your narrative. 2) I specifically said "headshot"...not the more general term "portrait". There is a difference. If I were to buy an 85 over a 50, I've chosen gear to give me a specific image; exactly what was written in the article. 3) You either deal with weather (which is uncontrolled - you're reacting to the world as it comes), deal with the existing venue lighting (still uncontrolled), setup specific lighting (which is gear) in a studio, or you grab a flash/strobe - again, gear. Its either uncontrolled or its an extra piece of gear. Its depressing how many apparently cannot. Are you by any chance a software engineer? - because I only think I saw the same kind of black/white and very theoretical approach to things back when I was a CTO. Of course you can use a 50 mm to make a headshot on an entry level camera - unless, of course, you will argue that 85 mm is insufficient on a full frame camera and that 135 mm is needed. Anyway, lets's agree to disagree - we are so far from each other that I see no common ground to meet on. Not a software engineer. And of course it's black and white; if focal length matters, gear matters. I could go on with other technical aspects, but I believe you are correct...having established we're not talking about expensive vs cheap gear, and only my insistence that the gear you use is an integral part of the photo you make, I cannot fathom your point of view. Given that, it is most definitely best to leave this be. Good day. I am a hobbyist with a Canon 5D Mk III with the "kit lens" 24-105 F4L. I haven't had the resources to buy a telephoto zoom; a 70-300 would suit my purposes better. Rentals are an option. I rented the Canon 100-400mm f4.5-5.6L lens for a practice round for the 2014 and 2015 Masters Golf Tournament; 2014 was rained out, but I was able to rent the Mk II version for 2015. I also used my Canon F-1N with the FD 28mm f2.8 lens shooting slide film for the scenic landscape photos. "Have you ever noticed how all the cheap DSLRs come with articulating screens, while that feature is still fairly rare on professional bodies? That's because it is a severe point of failure"
uggggh Im so sick of this attitude toward articulating screens. Maybe this isn't something every photographer uses but for wedding shooters, event shooters, street shooters etc its a invaluable resource. are these people not professionals? I've moved to mirrorless and shoot fuji x-t1s with articulating screens. I own 3 bodies and have yet to ever have a failure from the articulating screen. It's been bumped, dropped while out and I've never had a problem. A cheap dslr articulating screen will fail because its cheap not because it comes off the body. real professionals buy the tools that THEY need to get the job done. not the ones with the biggest price tag. Right, I was almost being swayed by his points, until I realized that he was only saying HIS gear was important. He is missing the point. When people say "gear is not important" its because they are sick of arguing over 3 pixels in the corner of the the new CNXLs 600mm MarkVII when anyone still using the CNXLs 600mm Mark III are all laughable losers. THAT is why people say gear isn't important. Not that you don't need gear at all. "THAT is why people say gear isn't important. Not that you don't need gear at all." I don't care what anyone says I buy the gear I need for what I shoot. If people think I'm not professional because I'm not shooting with the latest canon/nikon flagship body thats their problem. My clients are happy, I'm happy. My gear does the job and I trust it. thats all I need to know. I never said the articulating screen isn't a "useful" feature, I just was pointing out that it is a severe point of failure. Which it is, they are attached by a tiny hinge that can be easily broken off. Thats a huge risk. no what you were saying is that articulating screens aren't professional. your fixed screen could just as easily fail from a drop or a bang. my articulating screen is flush with the body 95% of the time. so that 5% i'm using it I'm not really worried it's going to get messed up. I've never had one fail or known anyone that has. you are making a mountain out of a mole hill dude. also mine is held on with 2 tiny metal hinges. Thats interesting that you know what I'm saying and I don't? It was just an example of WHY you don't see them in pro bodies. They are easy points of failure, a fixed screen with a plastic protector is much less likely to break than a screen that depends on a hinge. What you mean to say doesn't always translate to how it comes across, that's all I'm saying. Basically it seemed you were saying articulating screen = not professional. Sorry if that seemed rude to tell you what you were saying but that's how it comes across. Like I said I use the xt1 and I would say that's a professional camera. Kevin Mullins, zack arias, Bert Stephani etc etc would all agree on that. Your article comes across as another if you don't shoot with the latest and greatest/most expensive you aren't a pro. Which is completely wrong. Gear is important for sure. I love gear but it's not something that should be talked about endlessly. Actually, more than anything I was aiming to stir up some interesting discussion surrounding the myth that gear doesn't matter. I think you are experiencing something called "confirmation bias" which is the act of interpreting something to confirm one's own preconceptions. The article hardly talks about being a "pro" at all. Other than a tiny statement in the conclusion which is only pointing out that top pros know that gear matters the article really doesn't talk about professional vs amateur shooting at all. Well according to Canon their pro line starts with the 60D and goes up from there. The ones with flip out screens are not pro cameras. Any pro will always be trying to get better gear. If you really are a pro and not just a "pro" you would have enough money to upgrade from the ti series to something like a 6D or better. I know a lot of people who defend none pro gear are just people who just aren't making enough money in photography. Was this directed at me? I don't shoot canon. I shoot with Fuji x-t1. That's why I mentioned guys like Kevin Mullins and Zack arias who are well known pros shooting with Fuji X-t1s which have articulated screens. I'm a pro. I make my living shooting and not that it's anyone's business but I'm fairly capable of buying new gear when I want. I just dont dump all my gear when something new and expensive comes out. Spending too much on gear you don't need is a great way to sink a business. "Spending too much on gear you don't need is a great way to sink a business." No one ever said "spend TOO much"...but it was said that pros should be buying pro gear...at least the basics. If you can't do that then you must not be making enough money to call yourself pro. Personally I like the idea of having a camera like the x-t1 or the X-pro1 for street or for Instagram stuff but when I am on a real shoot like a wedding having the right equipment is necessary. Fun article, and good point about the hinge being a point of failure. However, I have found that the articulating screen can actually protect the camera in some ways, since with certain models you can flip the screen inwards when not in use making it impossible to damage the screen. Plus, most of the time the articulation's not being used, so it's just as secure as a normal screen. The only time it's at risk of snapping off is when it's folded out and you're trying to get a shot from an angle that would be impossible with another camera. So personally I'm a huge fan of articulating screens, though if I were trekking through muddy terrain for days I could see grime getting in and causing issues. Unless you have numbers to back this up, it isn't a "huge point of failure." You may believe it to be a point of posssible failure, but that doesn't necessarily mean it is. Big assumption. Considering that there are brands which include articulating screens in nearly all their models but their lowest end, it is quite a useful feature. The same could be said for a number of recent innovations.... evf, ibis, or dual processors. Unless you know the design (through either teardowns or schematics) and can identify a point of failure because of poor engineering, it is just opinion. I, for one, will never own another body that doesn't have an articulating screen. There are just too many advantages. And not one break over 5 bodies with them. - I'm doing a sports event in a low light situation, I gotta bring a pro camera. Agreed, if you do depend on your camera to get food on the table and if you test the boundaries of your camera and yourself on a daily basis, reliable gear is not an option but a solid requirement. However, when looking at my images from last year, the missed ones due to inferior gear are waay outnumbered by the missed ones due to stupidity of yours truly. If that ratio changes significantly, then Im ready for new gear. 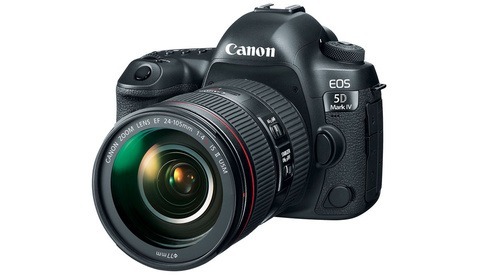 And yes, I still drool over a 5D Mark 3 or a medium format camera (any make will do, thank you). "Have you ever noticed how all the cheap DSLRs come with articulating screens, while that feature is still fairly rare on professional bodies?"